I miss this thread terribly and i miss seeing yehjin's face too!!!! I don't get much of her in here in New York and I am so reliant on the internet now for her stuff!!! 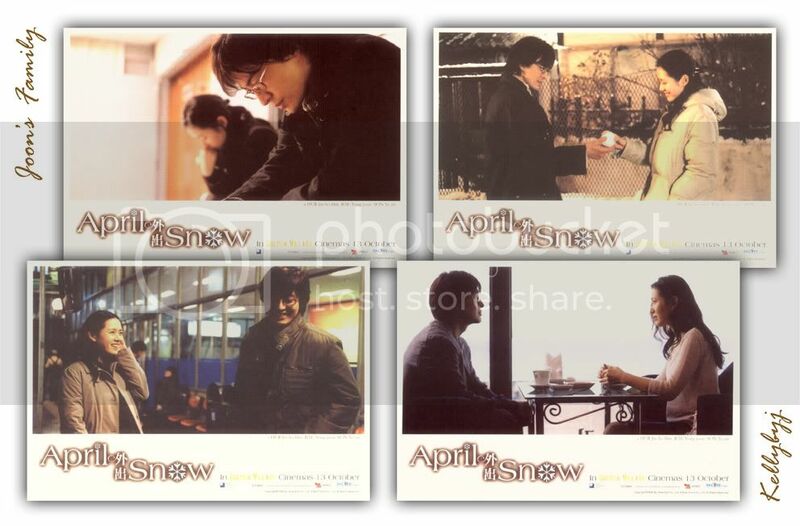 I wish I can watch April Snow back home...sob! anyways, let's hope for a great year ahead for Yehjin! I can't wait for AoS, it looks so cute and I think Song make a delightful couple with her!! There are lots of interviews of Ye jin and they were translated into Mandarin (Chinese). Is there anyone out here that can translate from Chinese to English? Here are some capturez from a talkshow. Thanx to Frances for the link, Carol for uploadin'. SaNine matey, hope ye could manage to buy tis one..
i can translate. but you must give me the interviews? holy! that was alot of pics.. thanks for the links as well! Seekin out for yuta_rule for da not so draw to a close businesz... He! he! he! he! he! Hey hi hazel_witch! Ye sound so familiar. Think I've seen yah at da old thread ayt? BTW, tat'z Son Ye Jin and Lee Dong Gun in 2004 new year's promotional newspaper ad. hey! yup! i am witch_hazel... just interchanged it! hehehe... you are a Filipino right? thanks for the info... so LDG and SYJ... they look good!!! Oh yeah am a filipina. How dya find out huh?! quteacho! You're a filo? hehehe Me too. Thanks for the pics. Our SYJ looks pretty, as always. Ye came from da island Philippines even so ye currently on stop to Aust?? Now I have a handle on 'lukso ng dugo' from da very start I came accross ya here. Hi! hi! hi! hi! Kumusta dyan? Style scanned and posted the Cover Story of mini PREMIERE 2005.8.19-9.1 No. 31. Hey quteacho!!! here i am!!! I actually think that I translated the top piece but it was gone after the soompi revamp!so here it is...again! Today is the last day of Yehjin's TV, magazine interviews schedule. During the intermissions, yehjin was so into the stuffed doll that the staff members brought with them, she took a photo with it upon request. Press from everywhere amounted to interviews that lasted for about 5 hours. And during this time, Yehjin did not display anything sign of fatigue and like all other days and kept her beautiful smile the whole day. Amidst the busy moving shooting schedule, yehjin was able to take some time off her tight schedue and visit Japan for 2days 1 night to attend the commercial press conference for the coffee "Georgia Grande" as well as the Original Jacket "Singing Jacket" commercials, which are making their first appearance in Japan. After the press conference, Yehjin got to experienceher frist Chinese food experience in Japan. So far in all her trips to Japan, she got to taste mostly Japanese food, and she particular gave praise to things sushi and one of her favorites-the Japanese steamboat. In the afternoon, she didn't display any signs of fatigue and after doing the interviews in hotel, she was able to do her much looked forwarded Shopping! The schedule in Japan went by smoonthly and tonight, Yehjin has left for Korea. The places she wants to visit are Disneyland and Kobe etc. We look forward to seeing Yehjin in Japan again! Gosh, I love this girl!!! Ever since A Moment to Remember, I noticed small details that she did, that was amazing to her role. And The Classic!!! SO GOOD! The acting wasn't as good, but after seeing both, I can tell she has improved!! !